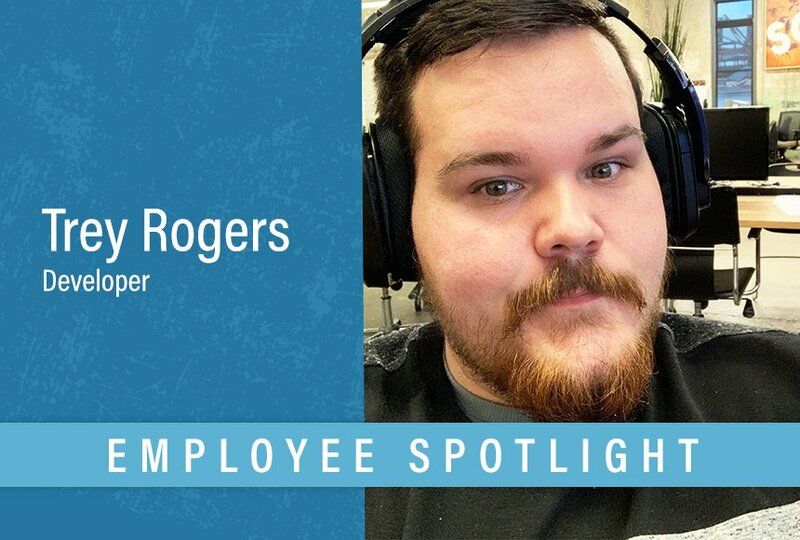 Our next employee spotlight is on Web Developer Trey Rogers! Get to know Trey here, including what a work day in his life is like, what tech podcasts he’s loving and what his favorite part about working for DuBose Web is. What do you do at DuBose Web? I pretty much solve puzzles and take on challenges. In more technical terms, I am a web developer. I’m responsible for building out web applications and solving any technical issues our partners may experience with their websites. When did you start working here? I started at DuBose Web on July 16, 2018. Ok, that’s your title and job responsibilities, but walk me through a workday in your life! On a good day, I will get up at 7 a.m., do a morning workout for 30 minutes, shower and leave the house by 8:15 a.m. I’ll get to work between 8:30 and 9 a.m., set up my computer and look through my work email to get started on any super important issues. Then, I move on to lower priority tickets. I take lunch between noon and 3 p.m. every day. Depends on the day. After lunch, I get back to what I was working on. I leave work around 5 p.m. and head home if I don’t have errands to run after. Once home, I’ll say, “Okay Google, I’m home”, and my Google Assistant will turn on my lights to welcome me home. It then tells me about any calendar events I have tomorrow, the weather, and turns on my favorite songs playlist on shuffle. Do you have any systems or habits in place that help you with productivity? The current Jira task I am working on stays in the far left tab in my main browser. Usually, I have email alerts turned off in the morning because that is when I am most “fresh”, and can laser focus on a complex task that needs to be knocked out. What does your desk look like? Cluttered? Tidy? Organized chaos? 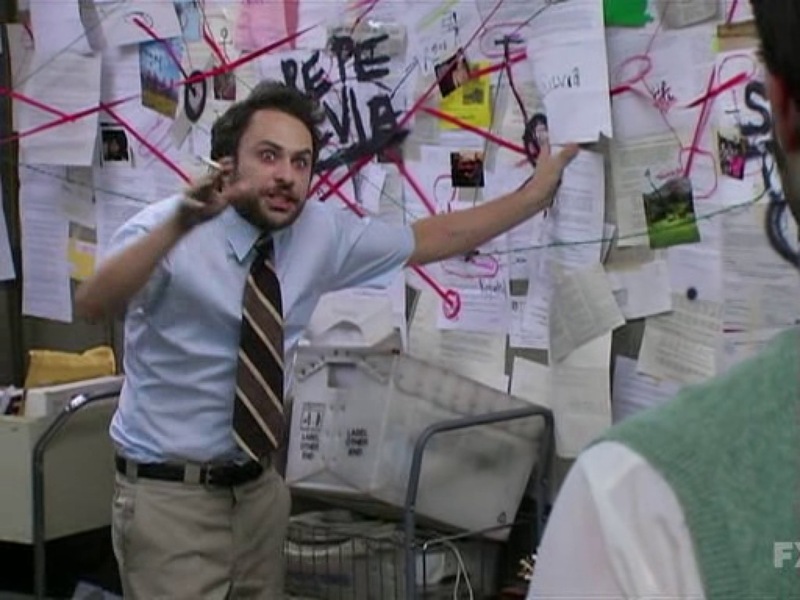 If I could describe my desk with an image, it would be this. What have you learned while working at DuBose Web? I’ve learned what it feels like to work with people who are driven, motivated and passionate about what they do. I’m super motivated by my team’s motivation! I’ve also learned a lot of new technologies I would have otherwise never used like Docker Containers, or Node.Js. What is the coolest thing you have worked on lately? This is a tough question to answer. I work on so much cool stuff every day, and I’m always being challenged. I would say the coolest project I’ve worked on so far has been the Climatic Corporation website. It was a real challenge to get the design of the website to fruition, but it turned out great. When you’re not working, how do you like to spend your time? I’m a really boring person - I like to be at home. I don’t care too much for crowds. I like to take courses online or watch my favorite YouTubers: Shane Dawson, Ryland Adams, and Morgan Adams. Do you have a book, podcast or other resource that has inspired you lately? What’s one thing about you that surprises people? I’m not sure. I guess how friendly I can be when I am approached. I have gotten the “you looked mean” comment quite a bit. What is your favorite part about being part of the DuBose Web team? Working with people who are passionate about their work. It’s refreshing compared to the work environments I have become accustomed to. Ready to start a project or really curious about our process? Drop us a note or give us a call; we’re happy to answer all your questions.